If you are someone who tends to watch TV and browse on the web a lot, somewhere in the back of your mind is definitely an iconic advert you can remember back in 2012. Whatever the year and whatever the advert, the point is you remember it after all of this time, and that is what matters. Social media marketing is the ultimate battle for your customer’s attention… and the best way to do so? To upload unique, creative and MEMORABLE social media campaigns. The point of remembrance is they will always have you as a priority – they read or watch your advertisement, think “you’re quite funny” or “you could be useful” and will put that in one of their brain pockets until the time is right. To us, that is perfectly more acceptable than forgetting about your business after a boring advert. We will admit, this is a pretty difficult process, especially as a small business. But creating these can seriously benefit your business, because these iconic adverts are being liked, commented on, tagged in and shared across the globe all within one or two clicks. These one or two clicks might’ve just earnt you a customer or two. Spotify is a highly popular music-streaming platform that was launched in 2008. 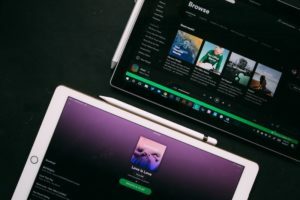 With its main competitor as Apple Music (which by the way, has caused its own little social media war on Spotify vs. Apple Music), it was important the upped their game. Furthermore, they kicked off 2018 with some hilarious and creative advertisement, where they combined their data with user-based knowledge to create some “2018 Goals” billboards found around the world. We love this idea simply because it works! Their approach has been successful simply because of their data-driven goals and the use of their public area space with maximum visibility. This meaning that thousands of people could walk past, take selfies featuring the billboard and post it to their social profiles, as well as the encouragement of listening to that song on Spotify, too! How can you learn from this, you ask? Simple. Start your own digital-data-driven approach that persuades your audience to take physical advertisement back to online platforms. This is also known as the cyclical effect, and there are a variety of creative ways you can do so. They are not a large, international company, but this campaign definitely boosted their recognition significantly. Bitter Pops has thousands of rotating craft beers available for purchase, but they also operate an Instagram account, ‘bitterpups’ where followers post photos of their dogs in the store. This campaign is very personal, accessible and not to mention, adorable! The user-generated content combined with the popular love for dogs caused them to blow up with followers (especially as a small business in Chicago). So, how can you learn from this? 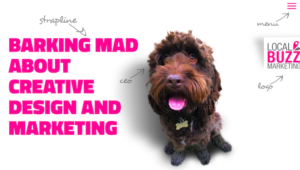 Well, by posting something as loved and adored as dogs, it has completely expanded the target audience for the company – their brand image has encompassed characteristics beyond alcohol and has made a big connection with a lot of people. This way, even those that can’t buy or don’t drink alcohol can follow for a reason! As a result of this, make your campaigns accessible, give your company a new characteristic and watch it grow your company. 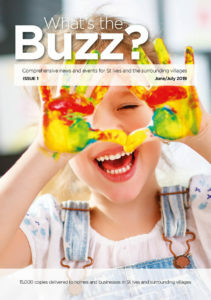 Here at Local Buzz Marketing, we specialise in marketing, print and design St Neots. We have our own little ‘puppy effect’ of our own, with our mascot, Lira, check her out on our website! Following on from the last message, user-generated content is a really good way of keeping your following engaged with a business’ social media. That’s why, National Geographic has it’s own Instagram account dedicated entirely to posting stunning photographs of the world and it’s nature, taken entirely by their audience. With 1.8M followers, we are guessing they receive thousands of gorgeous photography shots every week, and 12 of their favourites are posted onto the account weekly. So, how does this work and what can we learn from it? With National Geographic, the content their following is producing is completely relevant to their organisation – it’s all about capturing these tiny moments through photography. 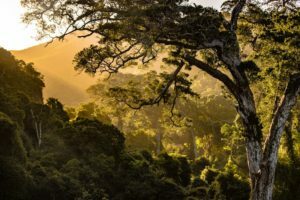 With their account, followers can send in their own photos, learn about other cultures and witness beautiful, high-quality nature through a camera lens. You can create a campaign similar to this by including user interaction, a committed posting system and something in-depth within your organisation to create something beautiful and what will generate results. The campaign looks like a normal advertisement that has been hilariously vandalised by Deadpool and his blunt, inappropriate humour. Whilst this has probably made you want to watch this, take this campaign as inspiration, not a recommendation! Discover your brand’s main voice, the one that people will engage with most, and try and put a funny spin on it. Once you’ve found it, commit to it and keep posting with that tone. Involve a character or even create your brand into one! Back in 2017, during the premiere of Beauty and the Beast (the remake), Disney uploaded a video of Luke Evans and Josh Gad (who play Gaston and his accomplice, LeFou) singing Be Our Guest, the iconic song from the film. Whilst this campaign would be viewed as mostly entertainment, it actually gained a lot of engagement due to it’s behind the scenes effect. After all, the chances of us getting to a real movie premiere is very slim, so when organisations give us cool access like this, us as their audience become immediately intrigued! The video got almost half a million views and a lot of happy comments (as you can see)! As a result of this, use your social media campaigns to make people feel like they are part of an event or experience your organisation is hosting or attending, believe or not it can really catch the eyes of some significant people. Urban Decay conveniently launched their new electric makeup line full of bright colours around the time Coachella was opening. UD and Coachella worked together, for both of their brand beneficiaries, to create a social media campaign that showed fans a number of ways they can wear their makeup for the festival. This campaign was successful for both parties because they leveraged from each other’s audience – Urban Decay received Coachella’s thriving audience attention and Coachella earnt more awareness and more people attending (looking as electric as ever!). As a business owner, you should know the potential of social media giveaways and opportunities for your audience. Think outside of the box and offer something a lot of people would be interested in for the price of something that’s easy and almost effortless for them to do. Everyone loves a discount, but because it’s easy and used everywhere, it’s more or less become an essential, average part of marketing now, nothing old and nothing new! However, rather than encouraging sales with discounts, iHeartDogs launched a social media campaign of 0% off. That’s right, zero! Completely unexpected and confusing, right? This took place on Black Friday 2017 and certainly hasn’t been forgotten about. The organisation simply ran ads telling their followers they were giving them nothing for buying their products, but instead, promised to double donations from purchases made over that weekend. The result of this was crazy as they almost quadrupled their usual sale rate and certainly doubled their donations as promised! In regards to your social media campaigns, create something no-one is expecting! Something motivational inspirational and certainly smart. Build good social potential under your platforms by performing a campaign like this! Every year around the Autumn season, Starbucks temporarily launch their world-wide-loved, iconic pumpkin spiced latte. Due to its popularity, they have intelligently kept the drink as an annually-temporary thing so that the drink stays popular each year. Furthermore, it can be a huge challenge to promote a product, but by launching Snapchat filters, engaging advertisement videos and even creating a Facebook group, they earned 8 million video views, an 140% increase in conversion and over 200,000 online actions on the World Wide Web. What to learn from this? 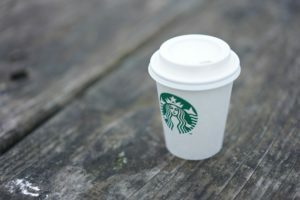 Think completely outside of the box – after all, we don’t know many businesses with their own Facebook group for a latte! Especially as it is a reoccurring product each year, change the story each year. Change the concept but keep reminding them why they loved your product, to begin with. The Museum of Ice Cream in San Fransisco was designed and built as a creative and happy place for everyone. Even if you don’t like ice cream, the themed decoration is vibrant and extravagant… and a huge photo trend on Instagram! Their Instagram account acts as a high-quality gallery of the museum and currently has 400k followers. Their campaign is more of a routine – they run an experience with a location that would simply compliment someone’s feed on another level. You can learn from this by posting/providing content that not only completely represents your brand, but can be turned into shareable content. Do that with your brand! Who doesn’t love a sneaky Easter egg? Well, that is exactly what KFC pulled off. Back in 2017, it was discovered that KFC’s Twitter page followed 11 people – the 5 singers from Spice Girls and 6 guys named Herb. This represented 11 Herbs & Spices – the famous, secret KFC recipe. The patience KFC’s marketing team must’ve had is phenomenal as it took over a month for a follower to notice! The tweet obviously went viral and KFC benefited with so much attention and publicity, with almost 350k retweets. What to learn from this? Create something extremely fun, like an Easter egg! And remember, patience is key. Here at Local Buzz Marketing, we specialise in Digital marketing, print and design St Neots. For all enquiries, you can contact us today! To learn what we get up to, like and follow our Facebook Page! ← Local Buzz News: The First Edition of 2019!